Wednesday is crazy television with a live UFC show, Ultima Lucha Dos, Finn Balor vs. Shinsuke Nakamura on NXT and the first round of the Cruiserweight Classic tournament. Lot of quality stuff on tv next week. WWE promoted that you can watch Brock Lesnar weigh-in for his fight against Mark Hunt on their website. As was noted in yesterday’s update, they have done some promotion for the fight online but are still avoiding talking about it on television. The 7/7 edition of Smackdown did 2,241,000 viewers, up from last week's 2,080,000 viewers. Reason was implied because of TNA having a show on the same night which could confirm rumors of him signing a deal with them. How’s this for a sad story. Joey Ryan noted that three years ago this week, TNA released him. Over July 4th weekend, Ryan outsold the entire TNA company combined when it comes to merchandise through Pro Wrestling Tees. This week's first airing of Lucha Underground on the El Rey Network, featuring the first part of Ultima Lucha Dos, drew 104,000 viewers. This is down 10% from last week's 116,000 viewers. The replay drew 39,000 viewers, bringing the total number of viewers for this week's show to 143,000. This was down a whopping 35% from last week's show, which totaled 219,000 viewers. Last week's replay drew 103,000 viewers. The show once again did not rank on the Cable Top 150 in the 18-49 demo for the sixth week in a row. Last week's replay ended up having the highest numbers in the show's history. It also appears TNA squandered about 500,000 video views by not posting video of the Final Deletion online immediately after it aired on Pop. As of this morning there are still three videos of the match on YouTube from accounts other than TNA's own official account. These have a total of 486,208 views and counting. The most viewed clip of the match on Dailymotion has about 15,400 views. These videos were all posted Tuesday night or Wednesday. TNA's official account only uploaded the video Thursday. Based on a formula used to estimate YouTube ad revenue, 500,000 views could be worth between $500 and $1000, which may not be huge money, but a company in financial distress like TNA needs all the revenue it can get. WWE released a survey via their mailing list to certain fans today seeking feedback on new potential WWE series for the WWE Network. While this is not confirmation that ANY of this will go into production, it gives you some insight into WWE's potential plans for the WWE Network's original programming in the near future. *Ask Me Anything Live - Live, interactive Q&A with WWE talents. *Everyone Has A Price - Reality series scouring the country for the most memorable WWE memorabilia, the origin of the items and determining their price. *Extreme Eats - Tommy Dreamer and Bubba Ray Dudley tour the United States to show off their favorite food locations, sample odd and strange food combinations and take part in eating challenges. *50 States, 50 Dates - a "WWE bachelor" goes on 50 dates to find romance. This would be a reality show about finding true love while also living your life on the road as a WWE talent. *Goldberg's Garage - Reality show about Goldberg, his wife and their mechanics restoring American muscle cars at their North Carolina garage. *History of WWE - 10 Part documentary series taking fans from the beginning of WWE through the launch of the Network. *Legends House: Attitude - A sequel to the initial WWE Network series, placing 1990s legends together under one roof. *Miz & Mrs. - A reality series following Miz and Maryse. *Tapout Fitness - WWE stars share their training tips. *The Third Wheel - Two WWE Fans go on a blind date without knowing they are going to be joined by a WWE star. *Totally NXT - A reality/competition series as six women try to make their way through the developmental system for a chance at a main roster slot and a Total Divas cast membership. *The Wives of Flair - Documentary series on the love life of Ric Flair and his four ex-wives. *WWE All Access - Reality series following main eventers as they prepare for Wrestlemania/Summerslam level major matches. *WWE Investigates - Each segment would be a 3-5 episode mini-series going deep into a real subject in the history of pro wrestling. The life & legacy of Eddie Guerrero was suggested as a sample mini-series. *WWE Goes Viral - Best WWE viral videos including ones submitted by fans. *WWE Kids! - Kids interview WWE stars, compete against them in games and call the action for in-ring action. *WWE Promo Battle - WWE Talents go head to head in "improv wars" in a tournament style setting where the audience and social media as well as a panel of judges determine who moves forward until they crown a promo battle champion. *WWE Roast- John Cena would be roasted in a no holds barred tribute. *WWE Superstars Search- Hosted by Lita & Trish Stratus, a competition reality series with 10 women competing for a WWE contract. 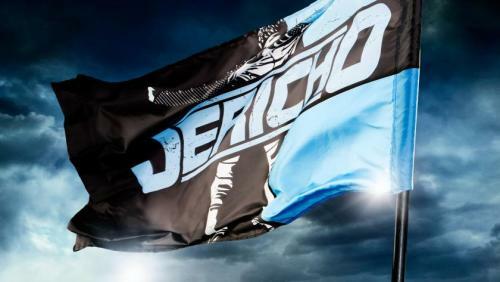 Chris Jericho teased during an interview with International Business Times he will be leaving the WWE and possibly wrestling next year to go back as a full time singer for Fozzy.